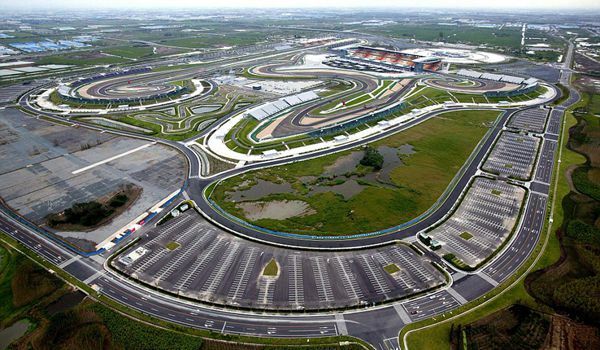 The Shanghai circuit held the inaugural Chinese Grand Prix in 2004 and has been home to the event ever since. A new deal to keep the Chinese Grand Prix in the Formula One calendar has been agreed in principle and will likely be sealed within weeks, a senior F1 official said yesterday. The sport, under new US-based owners, released its 2018 race schedule in June and Shanghai was only listed as provisional, along with Singapore. That prompted speculation that both races might be axed from the roster. But Sean Bratches, F1 managing director of commercial operations, said in Shanghai: "We've been working hard with Juss Event, the promoter, and we've got an agreement in principle. "My suspicion is that it will be executed by the end of next month, fully executed." Bratches said that F1 chiefs released next year's race schedule earlier than previously as part of efforts to make Formula One more fan- and sponsor-friendly. "Next year the schedule will be released and there will be nothing provisional about Shanghai because we will have a long-term deal," he added. The current deal for the Chinese Grand Prix is due to finish at the end of this year. The Shanghai International Circuit held its first race in 2004. F1 is also looking to stage two more street races in Asia as part of a drive to win new fans, Bratches revealed. F1 is reinventing itself under US-based Liberty Media, which completed its takeover of motorsport's most prestigious brand in January in a deal valued at about US$8 billion, ending the four-decade reign of Bernie Ecclestone as F1's colorful ringmaster. Singapore's night street circuit has proved particularly popular with fans and drivers since making its debut in 2008 and Bratches, said F1 enthusiasts can expect to see more street races in future. "I'm spending a lot of time reaching out proactively to cities ... and think ultimately we will realize more street races than we have seen historically," he said. "We will go to iconic cities where there are large fan bases, particularly new fan bases that we can activate." He added: "From a fan standpoint the backdrops of these city centers ... can really make compelling television and pictures." Asked if that meant more street circuits in Asia, he said: "Yes, two."